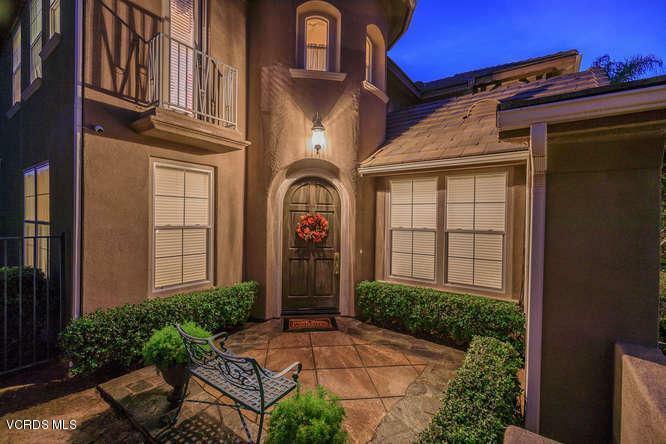 Welcome to this immaculate 4 bedroom, 3.5 bathroom, 3,306 sqft home in the desirable guard gated Long Canyon Estates of Wood Ranch! 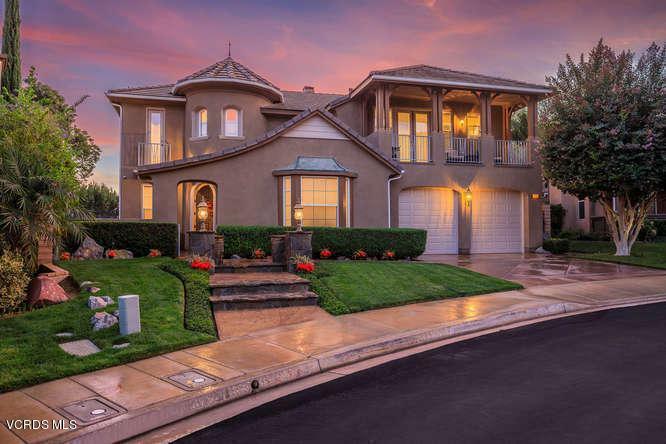 The property sits on a HUGE 14,022 sqft lot on a quiet Cul-De-Sac with views of the surrounding hills. Enter to a centerpiece curved staircase and tile floors leading to formal living and dining rooms. Chefs kitchen has gorgeous granite counters, flawless dark cabinets, huge center island, and a gas range with hood. The adjacent family room has a cozy gas fireplace and built in media center. An office is perfectly situated across from the family room. 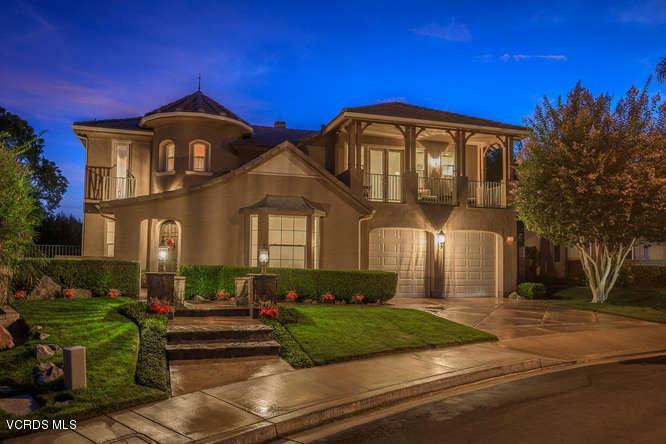 Desirable floorplan has a downstairs master bedroom! Master bath has large soaking tub, glass enclosed shower, vanity with granite counter, and walk in closet. Upstairs is designed with family in mind starting at the tech loft with built in desks & media center. 3 good sized secondary bedrooms: 1 with an ensuite, turret, and balcony. The other 2 rooms share a jack and jill bath, and one has a large private front balcony. You'll never want to leave the resort like backyard with a sparkling pool & spa, built in BBQ, huge grassy area and patio. Perfect for entertaining on endless Southern California days. 3 car garage w/built in cabinets. This won't last long! Welcome home! 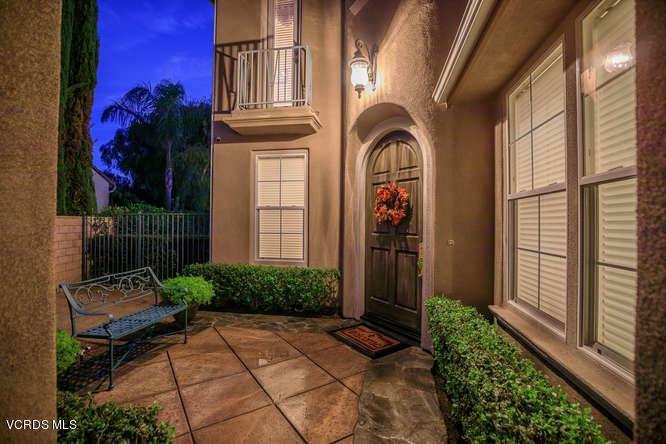 Sold by Prima Bernardus BRE#01062657 of Keller Williams Exclusive Properties. Association Amenities Gated Community Guard Association Name Long Canyon Estates Buyer Financing Conventional Country United States Of America Cross Streets Canyon View Dr. To Foxtail Hoa Fee Frequency1 Monthly Hoa Fee1 190.0 Hoa YN Y Land Lease Amount Per Year 0 Land Lease Type Other Legal Disclosures Cc And RHomeowners Association Listing Terms CashConventional Lot Size Source Public Records Possession Close of Escrow Property Condition Updated/Remodeled Property Sub Type Single Family Special Conditions Standard Sale Square Footage Source Public Records Tax Mello Roos No Will Consider Lease YN N Year Built Source Assessor Zoning .